According to the National Movers Study conducted by United Van Lines, 63% of moves last year assisted people leaving New Jersey! The staggering numbers leave you wondering why so many people are leaving the Garden State and where they are moving! Many have hypothesized that the increased number of outbound moves from New Jersey can be attributed to everything from the recent gas take hike and high property taxes to poor conditions of state roads. According to United Van Lines, almost 70% of people leaving New Jersey are moving because of retirement or job opportunities. *Property Taxes. Many former New Jersey residents left the state because they were tired of paying in a month what friends and family out of state pay in a year! *High Cost of Living. One of the primary reasons people leave New Jersey – and the Northeast in general – is the high cost of living. The northeast has the highest cost of living in the country, with sky-high housing costs and taxes. People tired of working incredibly hard just to get by search for opportunities in states where cost of living is more affordable. *Bad Weather. Many New Jersey residents are tired of putting up with long, bitter cold winters. Fed up of grey skies, snowstorms and frostbite, they leave the Garden State in search of warmer weather. *Job Opportunities. Many companies are relocating to states that are warmer and less expensive. The result is that more and more job opportunities exist outside of the Northeast. For example, in the tech sector, companies like Google, Apple, Dropbox, and Oracle have built or expanded offices in Austin, Texas. *Retirement. Many New Jersey residents are leaving the state to enjoy their lives after retirement in warmer climates and states where quality of life is higher and cost of living is more affordable. *Overregulation. Many small business owners leave New Jersey for other states because businesses are highly regulated. Many feel that there is a rule and fee for almost everything. *Bad roads, tolls and traffic. Some people leave New Jersey out of frustration of the amount of money they spend on tolls. Others are tired of the bad traffic and poor condition of state roads. Still others are sick of not being able to operate their own gas pumps. Millennials – generally defined as those aged about 18 to 36 – tend to want to live in dense, mixed-use, walkable areas. Many Millennials in New Jersey are leaving because they are struggling to find affordable housing in areas they deem desirable. In large part due to the high cost of housing in these areas, 47% of Millennials in New Jersey live with their parents (compared to the 33% of Millennials who live with their parents nationally). 54% of housing in New Jersey is comprised of single-family detached homes, which are often too expensive for young professionals at the start of their careers. Places where Millennials do want to live can be even pricier than parts of New York City! For example, Hoboken – where many Millennials in New Jersey want to settle – is very expensive, with the average monthly rent costing about $2600. Jersey City – another area that attracts Millennials – isn’t much cheaper, with an average monthly rate of $2,100. Because the demand for dense, walkable, mixed-use centers in these areas is higher than the supply of apartments, the price of apartments is driven up. This forces many young people to search for housing elsewhere – often out of state. So, where Are New Jersey Residents Moving? *New York. Not surprisingly, many New Jersey residents move to New York in order to be closer to the city for work. Some choose to move to upstate New York to get away from the city’s hustle and bustle. *Texas. A lot of New Jersey residents are moving to fast growing cities in states like Texas, attracted by job opportunities in the fast-growing tech-industry. *North Carolina. North Carolina is one of the most moved-to states in the country. An impressive 14% of outbound moves from New Jersey were to North Carolina. *Georgia. Many New Jersey locals are heading south to Georgia, either to retire, be closer to families or for job opportunities. *Florida. Many New Jersey residents move to warm and sunny southern states like Florida to enjoy retirement away from long, cold winters. According to United Van Lines Data, 56% of those moving out of New Jersey are over 55 and 22% are over 65. *Maryland. Maryland has become a popular destination for New Jersey residents because of its affordability, its job opportunities and its proximity to D.C., the nation’s capital. *Virginia. New Jersey residents leaving the Garden State because of high cost of living are moving to states like Virginia instead. Virginia residents benefit from lower costs on food, housing and transportation. *Pennsylvania. People are moving across the border from New Jersey to Pennsylvania for a number of reasons, from new job opportunities and company transfers to convenience. *California. Last but not least, New Jersey residents are heading to sunny California to enjoy retirement, for more green spaces and to take advantage of better job opportunities. 14% of outbound moves from New Jersey were to the state of California. Are You Moving Out of New Jersey? Whatever your reason for leaving and wherever you are headed, moving from New Jersey to another state can be stressful. If an out-of-state move is not well-planned and prepared for, the results can be disastrous. The absolute most important action you can take to ensure a seamless and stress-free move is to hire professional movers experienced with out of state moves. In addition to executing thousands of local moves in New Jersey, All Jersey Moving & Storage has helped countless families move out of New Jersey to states close-by and across the country. We give New Jersey families peace of mind that their furniture and belongings are being handled by a team of experienced professionals using the latest moving equipment. Based in New Jersey, we specialize in expedited service on long distance moves within a 500-mile radius, up and down the East Coast, including all points between Maine and the Carolina's. When Choosing Long-Distance Movers, Do Your Research! You work hard for your money and you deserve quality, reliable service. Doing your due diligence and investing time into researching reputable cross country moving companies will help you ensure you are not disappointed with the moving services you receive. It will also help you find the best service at a competitive rate. Begin the research process by asking friends and family which moving company they have used in the past that they would highly recommend. Negative reviews you receive from those you personally know and trust will also help you weed out “bad apple” moving companies that don’t deserve your business. Get quotes from the top cross country moving companies recommended to you. While speaking to the moving company's representative, ask if you can speak with consumers who have used their movers in the past for long-distance moves. Of course, you can also do a general online search to see what previous consumers have to say about their long-distance moving experiences with the company. These background checks often pay off, so invest the time to make sure you and your belonging are in good hands. All Jersey Moving & Storage is proud to be regarded as one of New Jersey’s most trusted movers with experience in both local moving and long distance moving. Currently, we are one of only about fifteen movers in the state of New Jersey that has received the "Circle of Excellence" designation by the New Jersey Warehousemens & Movers Association. We are also ProMover Certified and earned the esteemed Angie's List Super Service Award in 2012 and 2013! 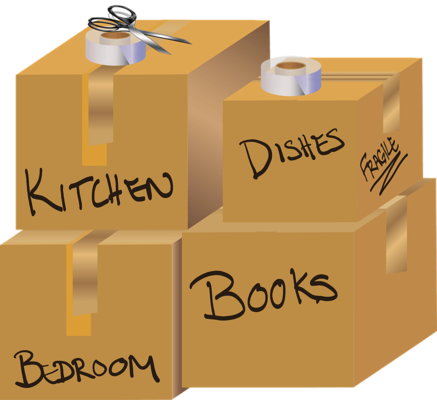 Why Choose All Jersey Moving & Storage to Execute Your Long Distance Move? In association with National Van Lines, All Jersey Moving & Storage now offers long distance moving from New Jersey to states across the country. With our movers and logistics coordinators, you won’t have to be concerned about where your furniture and belongings are, who is moving them and when you will see them again. By utilizing our network of skilled movers and well-maintained equipment, we are able to provide superior moving services. When you hire the All Jersey Moving & Storage team to execute your move from New Jersey to a distant state, you can expect a delivery that reflects our reputation for quality service. We handle your long distance move with the same attention, care, and expertise that our local moving customers have grown to expect. Our professional staff has the experience and training necessary to execute your move safely. You can expect award-winning service. If your move is booked through National Van Lines at least 10 business days in advance of the scheduled load date, we guarantee that our truck will arrive on the scheduled loading day. If we are even one day late picking up a shipment of over 6000 lbs. or more, we'll pay you $500 for your inconvenience. Once you have chosen your preferred long distance movers to execute your move out of New Jersey, book them immediately. Highly rated professional moving companies book up quickly, and you don’t want to be forced to move on an inconvenient date or have to book a second-rate mover. The All Jersey Moving & Storage moving team tries to accommodate client’s scheduling needs whenever possible, but your safest bet is still to book in advance. After securing you movers of choice, it’s time to think about the action steps you will need to take to allow your movers to do the best possible job. Our experienced long distance movers have shared moving tips designed to minimize stress and make preparing for your move as simple as possible. You can also visit our Long Distance Moving Blog for additional insider tips on executing a successful long distance move. Moving from New Jersey to another state? We’re sorry to see you go, but we’re here to help make it as seamless and stress-free a move as possible! Contact All Jersey Moving & Storage for a free moving quote.